It was a snowy January morning in Istanbul last year when Ayse, a 32-year-old primary school teacher and mother of two, kissed the kids goodbye at school and headed home. She didn’t make it to her front door before she was surrounded by seven policemen, accused of membership in a terrorist organization, handcuffed and taken away. Two months after being jailed, Ayse was joined behind bars by her youngest son, Ali, then just 4 years old. For another four months, she said, their lives unfolded like a horror movie. Built to hold 10 people, Ayse said, her cell was packed with 23 detainees. She remembers babies unable to get vaccines, and burning themselves with hot tea. She remembers, too, the traumatic cries at night. The case of Ayse and Ali is hardly unique. Based on monitoring government decrees and other reports from official sources, by the end of August 2017, advocacy groups had highlighted some 668 cases of children under the age of 6 being held in jails with their mothers. And 23 percent of those youngsters were infants less than a year old. Several thousand children ages 6-18 are also being held. 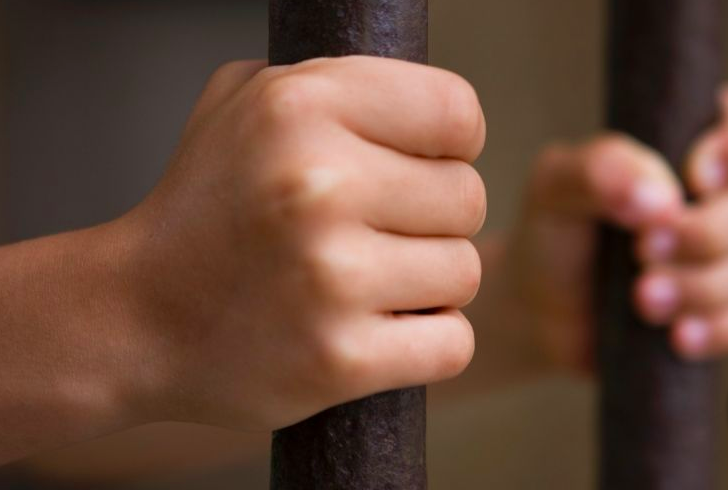 Turkey’s Justice Ministry provided a somewhat lower figure, stating that a total of 560 children under the age of 6 were being held in Turkish prisons along with their mothers. Mothers and their children continue to be rounded up with tens of thousands of other Turks following the July 2016 coup attempt against President Recep Tayyip Erdogan. The country has, since that attempt, been in a legal “state of emergency,” one that allows the government to jail anyone believed to have ties to exiled cleric Fethullah Gulen and his Hizmet movement. Other critics of Turkey’s policy noted that the imprisoned women and children were victims of guilt by association. “What is striking about detained women since the failed coup is that some of them are simply wives or children of suspects, but not suspects themselves. This amounts to collective punishment,” said Merve Tahiroglu, a research analyst with the Foundation for the Defense of Democracies, a Washington-based nonpartisan institute focusing on national security. According to the World Prison Brief, as of October of last year, women comprised 4.4 percent of Turkey’s prison population. The official number of females behind bars is just under 10,000, but Tok estimates the numbers could be as high as 17,000. Kam, a 34-year-old university teacher in İzmir Province at the time of her arrest in October 2016, said she was held for two months for investing – as thousands of other Turks have – in the Gulen-affiliated Bank Asya. She was kept in a cell with her 7-month-old son and two other babies, where they were prohibited from crawling on the floor. Toys were also prohibited, she said, and at times they could not access clean water. Case summaries and photographs viewed by Fox News, provided by international human rights investigators and lawyers, bring the grim statistics to life. They showed babies still on jail floors, with no play areas or facilities; women with chunks of hair ripped from their scalp in alleged prison mistreatment; and dozens of infants smiling before being whisked away to detention, where many are believed to remain. Nurhayat Yildiz, 27, a housewife expecting twins, was arrested on Aug. 29, 2016, after boarding a bus from the northern Turkish province of Sinop, headed for her 14-week checkup. Nurhayat was detained and charged with Hizmet membership – because she allegedly had a popular encrypted messaging app, ByLock, on her phone. The Turkish government believes members involved in the coup attempt communicated through ByLock, and despite the app being commercially available to anyone, the government has systematically rounded up thousands of those who have it. Yildiz’s supporters say she didn’t even have the app on her phone. In any case, at 19 weeks, on Oct. 6 that year, the first time mom-to-be suffered a devastating miscarriage behind bars. Then there are stories like that of Filiz Yavuz, who was suddenly arrested – taken in a wheelchair – just eight hours after giving birth at a maternity hospital in the southeastern province of Mersin on Feb. 7, 2017. “The police came for me at 3 in the morning. They said I was a terrorist because someone in my dormitory room from 2008 gave them my name,” Nur, 27, a human rights lawyer who was once a student at the Ankara University Faculty of Law, recalled of that frightful morning on Jan. 18, 2017. That’s when she was whisked from her home in the city of Eskisehir to a dark detention cell. Nur considers herself one of the lucky ones. She was released by a judge after five days due to her severe asthma and a heart condition. She quickly boarded a smugglers’ boat. Today, Nur – from the safety of the United States – is trying to draw attention to the plight of other detained moms, their children and other of pregnant women who she says have suffered miscarriages amid the psychological ordeal of arrest and captivity. Turkey’s Ministry of Justice and the Ministry of the Interior did not respond to a request for comment for this story. Turkish officials have consistently defended the widespread arrest and detention of thousands of Turkish citizens, including women and children, as vital to national security. They also insist that the detainees are being held in compliance with international law. The International Committee of the Red Cross (ICRC), which monitors the health and well-being of detainees in crisis spots around the world, confirmed it is not currently present in Turkey, and thus cannot monitor the situation. But that situation remains a cause of concern for many human rights groups, which routinely spotlight the seemingly arbitrary detainment of Turkish citizens. “ Following the coup attempt in July 2016, tens of thousands of people have been detained. The vast majority are not accused of participating in the events of the coup and in many cases that Amnesty International has examined there is no credible evidence of criminal acts,” a spokesperson for that group told Fox News. Hear some of the tragic stories of some of the over 600 children that are imprisoned in Turkey after the failed coup attempt in 2016.